Tom Hanks often plays the good guy in movies, but that's not the case in his most recent film, "The Circle." Released April 28, "The Circle" tells the story of a young woman (Emma Watson) who lands a dream job at a powerful tech company called the Circle. Once inside, she uncovers a dangerous agenda that will affect all of humanity. Box office totals have not been high for "The Circle." As of June 2017, the movie has pulled in about $20.5 million, which is just more than its production budget of $18 million. Critics have also been unkind to the movie, with many calling it a huge box office flop. Regardless of how much money "The Circle" ultimately pulls in — or what the critics say — Hanks won't be affected. 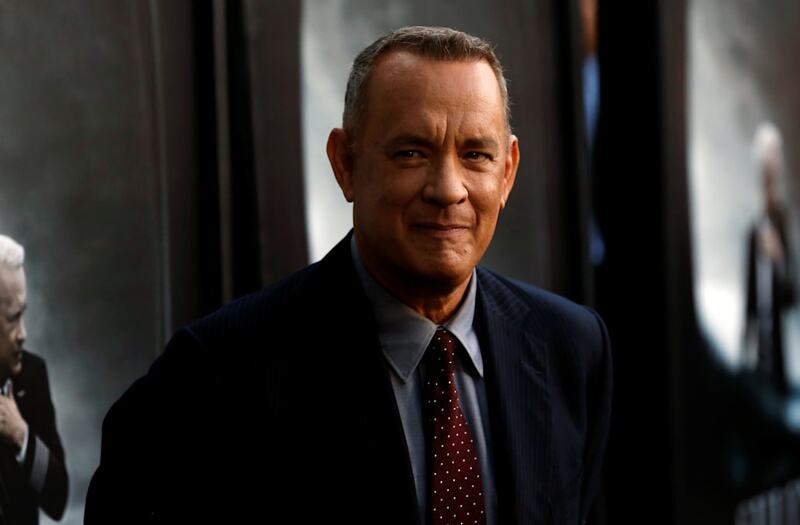 According to celebrity finance website Celebrity Net Worth, Tom Hanks' net worth is an impressive $350 million, proving his time spent entertaining audiences has already been lucrative. In 1980, Hanks landed one of his first acting roles in the horror movie "He Knows You're Alone." That same year, he starred in the television series "Bosom Buddies." Hanks appeared in a handful of movies between 1984 and 1987, including "Splash," which brought in a mere $70,000 domestically. The late '80s and early '90s were good to Hanks. During a five-year stretch, he starred in the movies "Big," "Turner & Hooch," "A League of Their Own" and "Philadelphia," the latter of which earned him his first Oscar. Today, Hanks is one of the best known, most respected and highest-paid actors in Hollywood. He also has extensive experience behind the camera, serving as the writer, producer and director for the 2011 movie "Larry Crowne," a film he also starred in. His honors include two Oscars, four Golden Globes and six Primetime Emmys. More than two dozen of Hanks' movies have made $115 million or more at box offices worldwide. Check out his 10 highest-grossing movies below, and then click through to learn more about some of his most successful movies. Based on the best-selling novel of the same name, "The Da Vinci Code" kicks off when the elderly curator of the Louvre is found murdered inside the museum. Police call upon Harvard symbologist Robert Langdon (Hanks) to help decipher a mysterious clue left behind, which leads to more curious riddles. Along with cryptologist Sophie Neveu, Langdon studies clues in Da Vinci paintings that reveal a religious mystery guarded by a secret society. "The Da Vinci Code" had a production budget of $125 million and generated $758.2 million in earnings worldwide — including $77.1 million its opening weekend. The movie was followed by sequels "Angels & Demons" and "Inferno," which made $486 million and $220 million, respectively. "Catch Me If You Can" tells the story of Frank Abagnale Jr., a young criminal who successfully forges millions of dollars' worth of checks while posing as a pilot, doctor and legal prosecutor. Hanks plays FBI agent Carl Hanratty, who pursues Abagnale. The movie made $352.1 million worldwide, including $30 million its opening weekend. "Catch Me If You Can" was nominated for two Oscars, a Golden Globe and dozens of other awards. In "Cast Away," Hanks plays workaholic FedEx executive Chuck Noland, the sole survivor when a FedEx cargo plane he is riding in crashes in the Pacific Ocean. Four years pass before he is rescued from the remote island where he washed up. In that time, he adjusts to life on the island, with a volleyball as his only companion. "Cast Away" earned $429.6 million worldwide, including $28.9 million its opening weekend. The movie had a production budget of $90 million. Hanks won a Golden Globe for his work on "Cast Away" and received an Academy Award nomination. After stealing the hearts of audiences everywhere in "Sleepless in Seattle" (1993), Hanks and Meg Ryan returned to the silver screen together in "You've Got Mail" (1998). In the movie, Joe Fox (Hanks) and Kathleen Kelly are business rivals who despise each other in the public eye. Online, however, the two end up falling in love. "You've Got Mail" made approximately $250.8 million at box offices worldwide. "Saving Private Ryan" covers the World War II D-Day invasion and the resulting aftermath. Captain John Miller (Hanks) is assigned to find Private James Ryan and bring him back to the U.S. after the army chief of staff learns that the soldier's three brothers were all killed in combat in a one-week period. "Saving Private Ryan" had a production budget of $70 million and generated $481.8 million at box offices worldwide. The movie earned $30.6 million its opening weekend and became the biggest summer blockbuster of 1998. Hanks' performance earned him Oscar and Golden Globe nominations. In the 1995 animated movie "Toy Story," cowboy doll Woody (Hanks) feels threatened when his owner, Andy, is gifted a Buzz Lightyear action figure. Woody tries to retain his spot as the favorite toy, causing havoc in the toy chest. "Toy Story" earned $373.6 million worldwide, generating $29.1 million its debut weekend. "Toy Story 2" followed in 1999. It brought in $497.4 million off a $90 million production budget. "Toy Story 3" was released more than a decade later. As of June 2017, it is Hanks' highest-grossing movie, bringing in nearly $1.07 billion worldwide. "Toy Story 4," the next flick in the successful movie franchise, is expected to be released in 2019. Inspired by real-life events, "Apollo 13" tells the story of a moon-bound spacecraft that undergoes massive internal damage, putting the lives of astronauts Jim Lovell (Hanks), Fred Haise and Jack Swigert at risk. Along with help from NASA agents, the astronauts must navigate their way back to Earth. As of June 2017, "Apollo 13" is one of Hanks' top 10 highest-grossing movies. It brought in $355.2 million worldwide. Hanks took on the title role in "Forrest Gump," playing a man with a sub-par IQ who leads an extraordinary life, but never stops pining for his true love, Jenny. "Forrest Gump" had a production budget of $55 million but brought in $678 million worldwide — including $24.5 million its opening weekend. Hanks' work on "Forrest Gump" earned him a number of honors, most notably an Oscar, a Golden Globe and Screen Actors Guild Award. All box office figures included in this article are worldwide unadjusted unless otherwise noted. All figures are according to box-office reporting service Box Office Mojo, which is owned and operated by IMDB.